One By One premiers SHOUT GLADI GLADI at The Mountaineers' Seattle Program Center on October 8, 2015. Narrated by Meryl Streep and featuring Melinda Gates, it’s a new film about the fight for maternal healthcare in Africa. 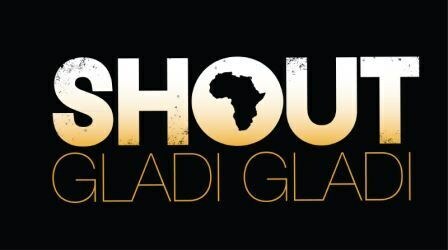 Join One by One for the premiere of Shout Gladi Gladi at The Mountaineers Seattle Program Center on October 8 to learn more about the fight for maternal healthcare in Africa. Directed by Adam Friedman and Iain Kennedy, and filmed in Malawi and Sierra Leone, the film spotlights the quest of Ann Gloag, the philanthropist and former nurse who drives the movement to save these vulnerable women, and presents the patients as they tell stirring tales of their struggles and triumphs. Doors open at 6pm, showtime is at 7pm. Dr. Jeffrey Wilkinson, Lead Fistula Surgeon at the Fistula Care Center in Lilongwe, Malawi, will be our guest of honor. Dr. Wilkinson, along with Carolyn Anderman, One By One’s Interim Executive Director, will discuss the impact and outcomes of treating .